Guy Mannes-Abbott is a writer whose work often performs in visual arts contexts, and a former AA School of Architecture lecturer. He has lived on Balfour Street for 27 years, latterly with Sanna, a Swedish architect, and their two boys aged 17 and 5. Guy led what became a community campaign to force the Council and Lendlease to recognise the public welfare or commons value of the 458-tree urban forest on the old Heygate Estate, which produced planning precedents and saved 182 trees. Beyond that Lendlease are some 900 trees into 1600 mandated replacements planted through the neighbourhood. 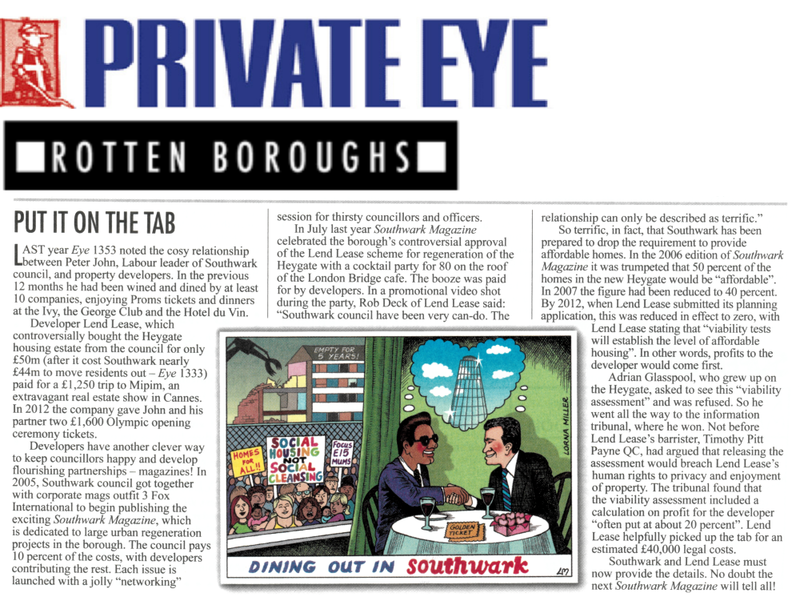 There were and are alternatives to Southwark’s approach to "regeneration", and Guy stood up for objectors to the Heygate Estate demolition at Planning Committee in 2013, in dramatic contrast to two of the sitting councillors who at the time were happy to support a 3% social rent scheme, with 20% car spaces in a car-free regeneration. He is a new school governor at Friars School. Guy's written work includes his critically acclaimed In Ramallah, Running (London 2012), contributory texts for e-flux journal’s Supercommunity project (Venice Biennale 2015/Verso 2017), End Note(s) (Rotterdam/Hong Kong 2015) and a short story for Drone Fiction (Dubai 2013). He contributed essays toWdW Review Vol.1 (Rotterdam 2017), Future Imperfect (Berlin 2016),The Gulf: High Culture, Hard Labor (New York 2015), collaborated with the Bombay-based CAMP on The Country of the Blind, and Other Stories (Folkestone Triennial 2011), and wrote the introduction to Mourid Barghouti’s Midnight & Other Poems(2008). His cultural criticism has been published widely in The Independent, The Guardian, New Statesman, Bidoun, Third Text, Architectural Review, Camera Austria, Middle East Monitor. He is a core member of the Gulf Labour Coalition, and editorial advisor for Divan (Sydney). I’d like to wish Guy good luck with his campaign to introduce some much needed integrity into Southwark local politics.